The Times Union published an article on the life and passing of Mary Femia. Femia was a certified addictions registered nurse at St. Peter’s Hospital for many years. She passed away Oct. 7 following a long battle with cancer. 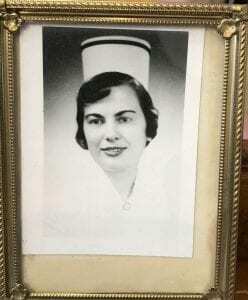 A native of Albany, Femia graduated from St. Peter’s nursing school in 1958. She helped countless people in need throughout her decades-long career. On Friday, I attended the funeral of Femia, 81, who died Oct. 7 after a long battle with cancer. I wanted to remind myself that the world can also be a kind and gentle place and to honor the memory of a woman I deeply admired. I spent time with Femia in her home in 2015 as part of a series of articles I wrote about the heroin epidemic. She was a certified addictions registered nurse, and was the heart and soul of the 18-bed detox unit at St. Peter’s Hospital for many years. During our in-depth interview, I felt like I was in a saintly presence. She exuded goodness, kindness and selflessness. She carried love and healing mercy to patients filled with pain and despair, and to everyone else she met. She posted many kind and supportive words on my Facebook page, and left a comforting message after the death of my father. To read Grondahl’s tribute, click here.